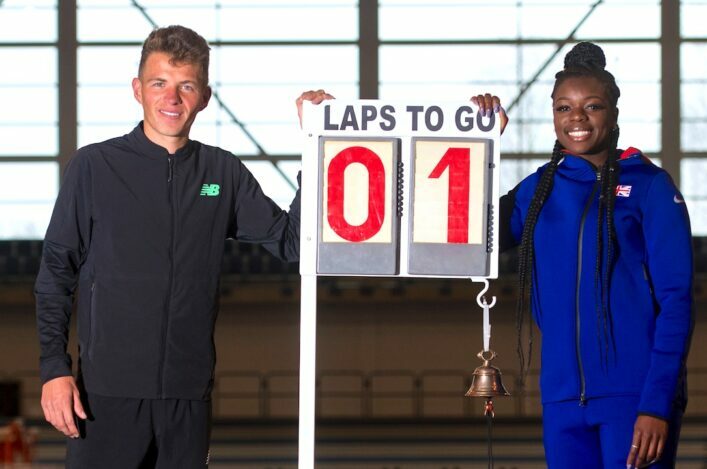 Andy Butchart and Asha Philip helped to mark the one month to go milestone for the European Athletics Indoor Championships by sharing their excitement for the event at Glasgow’s Emirates Arena. 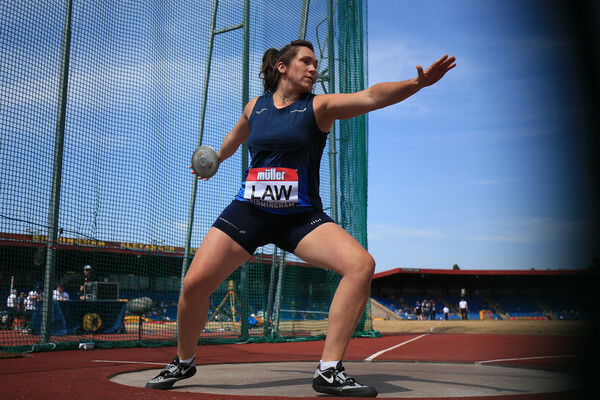 The championships will return to the iconic city for the first time since 1990 and there will be 650 athletes from more than 45 nations setting their sights on glory when they compete from March 1-3. Olympic sixth-placer Butchart made his track racing return at the New Balance Indoor Grand Prix in Boston on Saturday, with injury having ruled him out of competition last summer. The Scot clocked 7:46.50 for 3000m and is looking forward to getting back in front of a home crowd in Glasgow. ‘The Emirates Arena will be the place to be in early March!,’ he said. Philip stormed to the European indoor 60m title in Belgrade two years ago, breaking the British record with her time of 7.06. 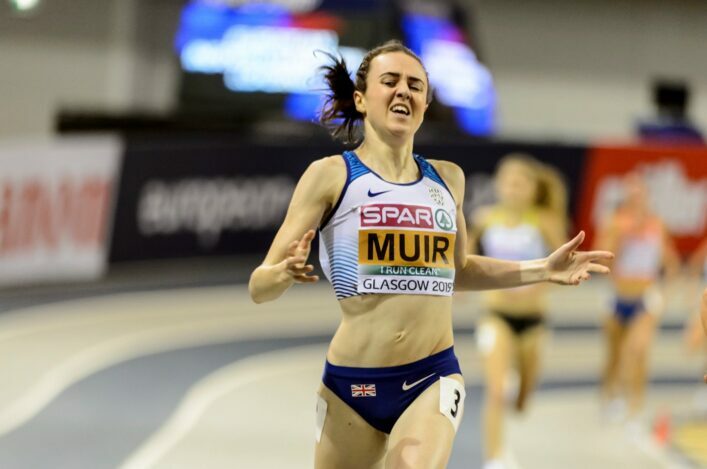 The Olympic, World, European and Commonwealth relay medallist has had a strong start to this season, clocking a European-leading 7.12 in Dortmund at the weekend. 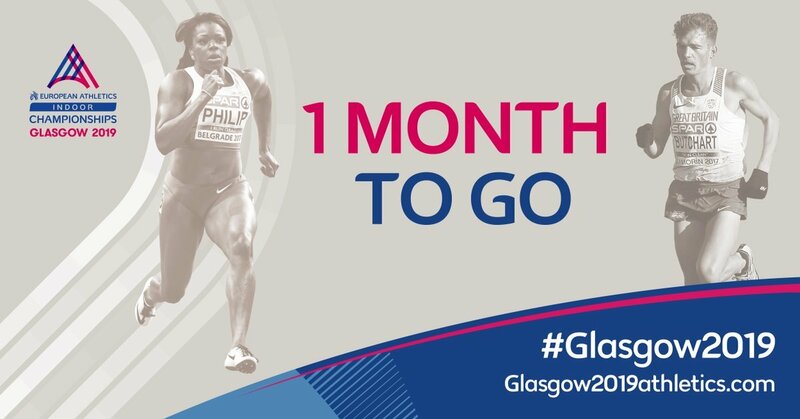 ‘Now that we’ve officially passed the one month to go milestone until the European Athletics Indoor Championships Glasgow 2019, my excitement levels are very high as I am sure they are for the rest of the athletes too,’ said Asha. ‘To have the opportunity to compete at a fantastic event in a world-class venue in front of a home crowd, is something that I can’t wait for.